8 Oz. Burgers: Pee in a Keg | Shits and Giggles: A Seattle bathroom tour! 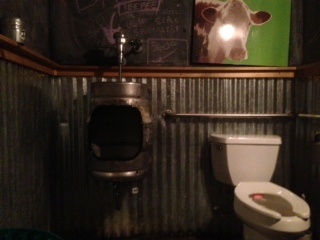 This entry was posted in reviews and tagged 8 oz, bathroom, bathroom reviews, capitol hill, keg toilet, reviews, Seattle, shits and giggles, shitz and giggles. Bookmark the permalink.